Upper GI Endoscopy or Gastroscopy is also known as oesophagogastroduodenoscopy (OGDS). 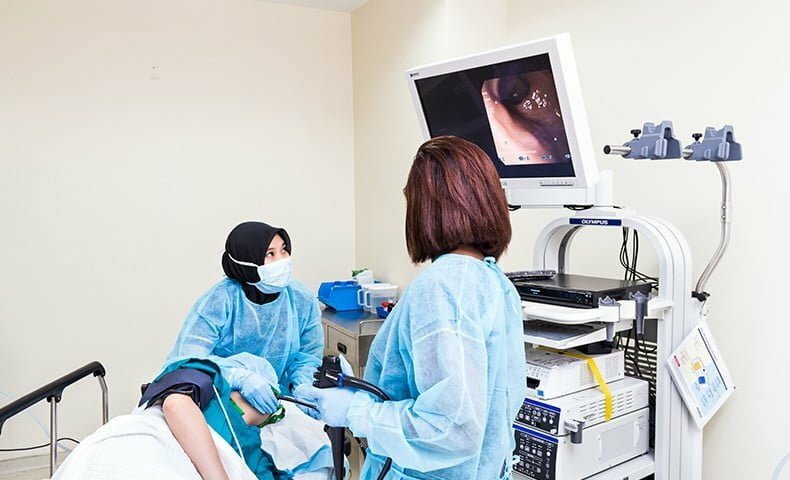 It is a specialized endoscopic examination where a small scope is passed through your mouth, down your food pipe (oesophagus) into your stomach and down to your duodenum (first part of the small intestines). It is usually done for persistent symptoms such as gastric pain or discomfort, reflux symptoms, difficulty swallowing, or symptoms suggestive of bleeding or ulcer (eg. anemia or black stool). Common problems such as gastritis, polyps, ulcer or even cancer can be diagnosed. Often times, Helicobacter Pylori (H. Pylori) can be one of the culprits for gastritis. It is detected through a biopsy of the ulcer via gastroscopy and this bacteria can be treated with a triple therapy regime. If it is left untreated, it can contribute to ulcers, gastritis or even more serious conditions such as bleeding or gastric cancer. This procedure is performed with a local anaesthetic spray to the back of the throat and with or without sedation. It takes approximately 10-15 minutes for the procedure to be done. 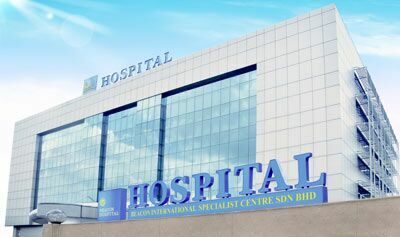 It is a safe procedure with small risk only of sore throat, bleeding, perforation of 1:10,000 cases. It is important that your stomach is empty for the test to be successful and therefore the minimum hours to FAST and not have anything to eat or drink before gastroscopy is 6 hours. Please do inform our doctor if you have Diabetes, High Blood Pressure or Heart problems or on any anti-coagulation or blood thinners such as Aspirin, Warfarin, Plavix etc. If you are taking medications to reduce the amount of acid in your stomach (such as Omeprazole, Lansoprazole, Rabeprazole or Esomeprazole), you should stop taking these 2 weeks before your test. Take your high blood pressure or heart medications with sips of water. If you are Diabetic and on treatment with insulin or tablets, DO NOT take your insulin or diabetic tablets on the morning of your test. You may bring it with you to our centre and can consume it after your procedure. If possible, try to get a family member to accompany and drive you as you will be sedated for the procedure. Please arrive earlier than the appointment time in order to avoid any delays. A full report of the gastroscopy will be provided to you once you have recovered from the sedation. In the event of any abnormal gastroscopy findings and any further treatment required, the doctor will set an appointment as a follow-up.